As cryptocurrencies are regarded by the Israeli Tax Authority as financial assets and not a currency, Israel-based businesses that make use of digital coins in their daily operations will need to pay value-added tax (VAT) on their crypto-related activities, just as they would for any other product or service, according to a memo published by the authority Monday. The new regulations are effective immediately for the fiscal year 2018. In January, the deputy governor of Israel’s central bank, Nadine Baudot-Trajtenberg, said the bank will also not recognize cryptocurrencies such as bitcoin not as currencies but as financial assets. The Israeli government’s tax division first addressed its position on cryptocurrency in a memo draft published on January 2017. According to the memo, investors who trade in cryptocurrency for investment purposes will not be subjected to VAT in the country. However, investors are subject to Israel’s 25% capital gains tax on their crypto trading. Businesses that generate cryptocurrency tokens, such as mining farms, will be taxed as factories in Israel, depending on the volume of their activity. Entities whose income volume from cryptocurrency qualifies them as a business will now be considered a financial institute and will now be taxed according to the same regulations that govern banks and currency exchanges in the country. Licensed businesses that will accept payments in cryptocurrency in addition to fiat currency are already legally required to pay VAT on any transaction they make. However, since digital coins are classified as an asset, for transactions that are paid for in cryptocurrency they will also need to pay a capital gains tax on profit. In addition to the current regulation, the Israeli tax authority will also establish a framework that will enable people to pay taxes on their crypto trading, said in an emailed statement Boaz Feinberg, head of the tax and anti-money laundering department at Israeli law firm Zysman Aharoni Gayer & Co. 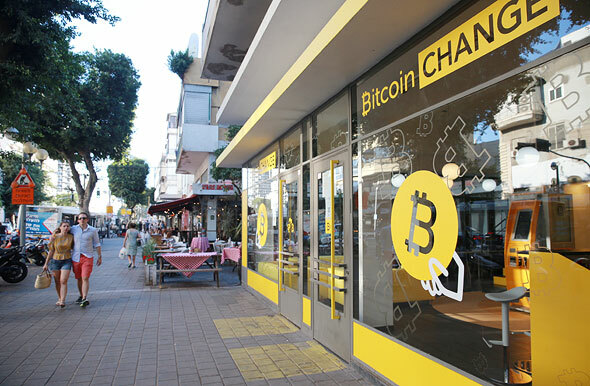 Currently, he added, Israeli banks are blocking the option of transferring crypto-derived gains into Israeli bank accounts. In Israel, taxes can only be paid in NIS from an Israeli bank account. However, the country’s Prohibition on Money Laundering Law requires Israeli banks to automatically report suspicious deposits, and all deposits exceeding NIS 50,000 (around $14,700), to the Israeli Ministry of Justice. Account owners must then verify the legitimacy of the deposit’s origin with relevant documents, but the banks refuse to accept crypto-derived deposits due to the industry's anonymized nature, leaving big earners in a bind.